Tourist visas are available on entry for citizens of 33 countries. The cost of visa for a month is QR100 per person, and an additional QR50 per companion registered on your visa. Tourist entry visa is available on arrival for residents of the GCC states. You can also apply for a joint tourist visa for Qatar and Oman. Business Visa: You can avail two types of business visa. A 72-hour visa on arrival, and one you have to apply in advance and can be extended. Family Visit Visa: Expatriates with family status can sponsor parents and siblings for a visit of up to six months. Postal services in Qatar are managed by Q-Post. Postal services offered include regular letters and parcel postage, along with bill payments and money transfer. 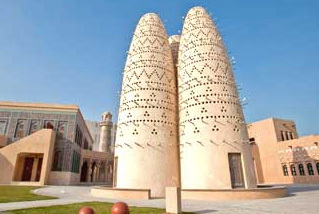 There are over 200 post boxes around the country, including a few in prominent tourist destinations like Katara and the museums. The Qatari riyal, denoted by QAR, is the official currency of Qatar. Divided into 100 dirham. Banknotes are denominated in 1, 5, 10, 50, 100, and 500 riyals, while coins are denominated in 25 and 50 dirham. Since 1980, the riyal has been fixed against the U.S. Dollar at a ratio of about 3.65 to 1. Arabic is the official and main language, but English is widely spoken in every part of the country. Despite the fact that most Qatari people speak fluently English, they feel honored to see their guests speaking a few words in Arabic. The best time to visit Qatar is between October and April, when the temperature dips. The coolest months are December, January and February. The high temperatures (touching 50°C in July-August) coupled with a 90% humidity restricts outdoor activities during summer, but there is still plenty to do within many of Qatar’s well-fitted indoor facilities. The many exhibitions at the Qatar’s offering of museums and art galleries, its luxury spa and hospitality facilities, and late night visits to the desert and beach, provide enough entertainment for the summer months. The cooler months are ideal for outdoor activities and to explore Qatar’s many beaches, parks and dunes. Traffic offences carry penalty points of varying length, and accumulating 14 points in a 12-month period results in a license suspension. There is usually a three months’ ban for a first disqualification, with any subsequent disqualifications likely to result in longer bans and a lowering of the driver’s future points threshold. Road rage incidents, in particular making offensive hand gestures, can result in stiff penalties. More serious offences, such as drink driving or causing a bad accident, are likely to invoke criminal proceedings, with the risk of a prison sentence and deportation. It should be noted that n Qatar, flashing of headlights by another car usually means ‘get out of my way’ rather than ‘after you’. The driver’s license and insurance documents for the vehicle must be kept in the car at all times. Due to the extreme peak temperatures in the hot summer months, a good supply of water should be kept in the car in case of breakdown, as should a first-aid kit and a fire extinguisher. For off-road desert driving, a four-wheel drive vehicle should be used, and other essential pieces of kit include a shovel and tow rope. Tyres should be deflated before driving on sand and re-inflated when returning to the road. Vehicles should always travel in convoy in the desert, never alone. A valid driving license is compulsory for anyone driving a vehicle in Qatar. It is possible to drive in Qatar with a non-Qatari driving license for a limited time. For details about driving with a foreign or international driving license, and for information about exchanging a foreign driving license, see the Exchanging a License Topic below. It is necessary to apply to the Traffic Department of the Ministry of Interior for a new driving license. To take the driving test it is first necessary to apply to a driving school for lessons. For expatriates who have already had experience driving, it is possible to take a half course. Drivers who already have a driving license from another country but are not able to exchange their license must have at least 15 hours of theory lessons before they can sit the driving test. All the above driving schools teach lessons in English and Arabic. It is also necessary to pass an eye test, which is usually carried out before the theory and practical part of the test. The driving test may be taken in English or Arabic. All parts of the test are usually taken on the same day. However, if the applicant fails one part of the test, they will not proceed to the next stage of the test. The applicant is usually informed at each stage whether they have passed or failed. Tests are usually conducted on manual transmission cars with four people in the car. Female applicants take the test with a female traffic police officer. The test is considered to be difficult and approximately 50 percent of applicants fail on their first attempt. The driving license is issued immediately after passing the test and is usually valid for five years for residents, and ten years for citizens. It is possible to renew a driving license online through the Hakoomi website. In the event of failing the test, it is necessary to reapply and take the test again, usually within a month. It is normally not necessary to repeat any parts of the test that were successfully passed. The type of driving license required in Qatar depends upon the length of time a person has lived in the country, the origin of the national license they currently hold, and whether or not they have resident’s status in Qatar. If arriving in Qatar on a visitor’s visa it is possible to use a national license from any country to drive a car for seven days, provided it is a rental vehicle. A driver who holds an International Driving Permit (IDP) may drive a rental vehicle for up to six months – or until the visa status changes from visitor to resident. The license from the home country must be available for inspection as well as the IDP. It is possible to obtain a temporary Qatar driving license, which acts as an interim document between driving on an International Driving Permit and being eligible for a full Qatar license. Application for this temporary license must be made before beginning the process of applying for residency. Once residency has been granted, it is necessary to obtain a Qatari driving license. To obtain an international driver’s permit, check with the national motoring organization of the home country before leaving for Qatar. Drivers who do not hold a license from one of these countries, or who have no license at all, are required to take a driving test. To apply for a license, either temporary or permanent, go to the Madinat Khalifa Traffic Department. The offices are open from 07:00 to 11:00 and 16:00 to 19:00. The applicant must fill out an application form, which must be typed in Arabic and signed by the sponsor. Translation typing services are available on site for a small fee. The form can be downloaded in advance, but needs to be filled out at the Traffic Department. It is also necessary to pass an eye test, which can be done on site. A fee must also be paid by card. This includes the cost of the eye test. The license should be available for collection on the next working day, and is valid for five years. The vehicle entitlement will be the same as for the original license, but a separate license must be obtained for driving HGVs and buses. » Original license from one of the countries listed above. There is a fee for a temporary license, and the license is valid for three months. It is possible to extend the license when it expires. In general, temporary license holders are restricted to driving rental vehicles only, as insurance on privately-owned vehicles tends not to cover drivers of this status. The Hukoomi website provides comprehensive information on the application procedure for obtaining a license, select the Visa, Passport and Official Documents link in the Services section. Experience 14 centuries of great art in a few hours. The MIA’s magnificent and imaginatively presented displays of the finest art and artefacts from across the Islamic world have earned it recognition among the world’s top cultural institutions. No visitor can fail to be impressed by the quality and diversity the collections, housed in a modern architectural masterpiece designed by IM Pei. The museum ensures fresh interest through its constantly changing programme of special exhibitions. A fee may be charged for these temporary shows, but admission to the permanent galleries is free. 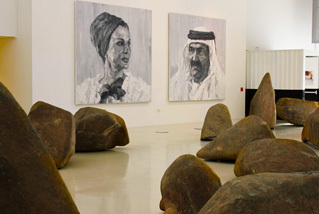 Located in Doha’s Education City, Mathaf museum is the only institution of its type in the region, hosting modern art exhibits and programmes offering an Arab perspective on contemporary art. 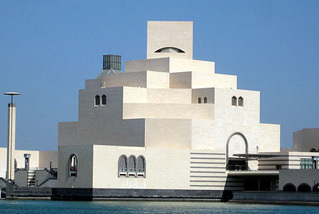 It is linked by shuttle bus to the Museum of Islamic Art. 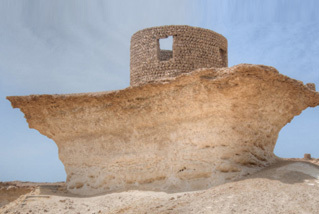 Located on Qatar’s north-west coast and comprising the immaculately restored Al Zubarah Fort and surrounding 60-hectare archaeological works, this UNESCO World Heritage site is one of the most extensive and best preserved examples of an 18th–19th century settlement in the region. It covers the remains of a walled coastal town that once ranked as one of the Gulf’s most important pearl diving and trading centres with links extending to the Indian Ocean. The fort houses a visitor’s centre. 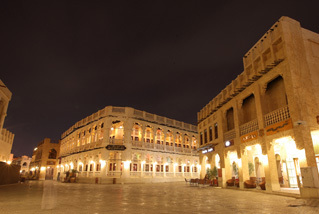 A stroll down the bustling alleys of Souq Waqif provides an authentic taste of traditional commerce, architecture and culture. The maze of small shops offer a dazzling array of Middle Eastern merchandise from spices and seasonal delicacies to perfumes, jewellery, clothing, handicrafts and a treasure trove of souvenir bargains. Traditional music, art and cultural shows add to the ambience of this special place. Relax and soak up the vitality and atmosphere at one of its eclectic mix of great restaurants and cafes. Sheikh Faisal’s private museum at Al Samriya features a fascinating collection of more than 15,000 exhibits covering a spectrum of arts, artefacts and equipment, as well as many everyday household and traditional items that evoke a flavour of Qatari life in the pre-oil era. A feature of the museum is its extensive collection of vintage cars. 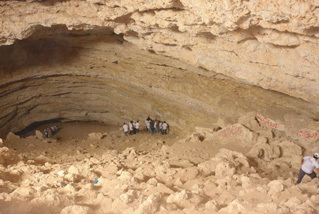 Gypsum deposits in the centre of the peninsula have given rise to the geological phenomena known as ‘desert roses’ (clusters of roughly rose-shaped gypsum crystals) and, most notably, the 40m deep cave at Dhal Al Misfir, formed largely of fibrous gypsum that sometimes gives off a faint, moon-like phosphorescent glow. 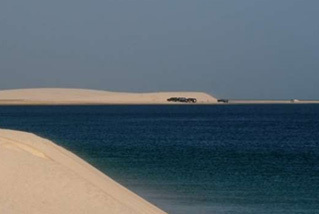 Qatar’s largest area of sand desert lies to the south-west of the capital, with its high dunes a major attraction both for recreational safaris or simply to enjoy the spectacular landscape. 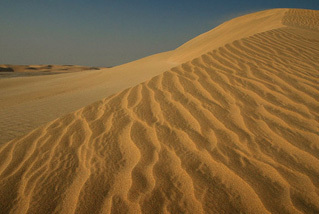 The desert scenery constantly changes depending on the time of day and light conditions. The breath-taking colours of sunrise and sunset are especially dramatic and the clear night skies offer a rare treat for stargazers. 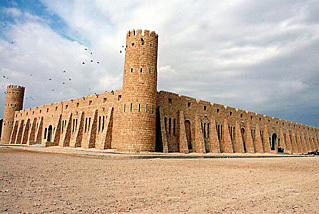 Khor Al Adaid, the impressive ‘Inland Sea’, lies to the south of this expanse of desert. 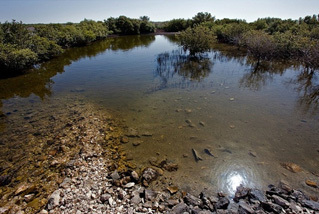 Al Thakira mangroves, lying just north of the city of Al Khor, present a large expanse of natural greenery in sharp contrast to the surrounding desert landscape. This area of vegetation with its own ecosystem is notable for attracting resident and migrating bird life, including flamingos and herons. A great way to explore the mangroves is by kayak, available from several tour operators and specialist companies. 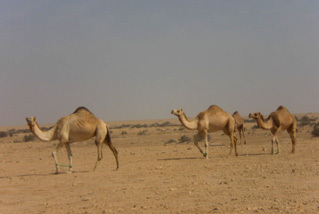 Qatar’s desert climate limits the variety of flora and fauna though, after any rain, the desert blooms with greenery. Qatar’s national animal, the Arabian Oryx, was extinct by the 1970s, but an ongoing breeding programme has led to its reintroduction since 1980. Other creatures occasionally encountered in the wild include foxes, jerboas, reptiles and various resident and migratory bird species, including flamingos. The largest native mammal is the dugong, found in waters around the coast. Qatar’s west coast offers plenty of interest. The area around Zikrit and the isolated Ras Abrouq peninsula is noted for its unspoiled sandy beaches, wild deer reserve and haunting lunar-like landscape of limestone rock formations sculpted by the wind into mushroom shapes. In contrast to the atmosphere and bustle of the souqs with their multiple small shops, there are many large stand-alone retail outlets and showrooms lining the streets of Doha’s main shopping districts, as well as a fine array of large and small malls offering visitors a total shopping experience in air-conditioned indoor comfort. The latter feature department stores, brand name boutiques and individual shops offering an immense range of both regional and international products. Facilities usually include under-cover parking, banks, supermarkets, coffee shops, food outlets and entertainment activities, such as cinemas, ten-pin bowling and ice skating. Qatar is a great place to unwind in the warm sunshine. Around the country’s coastline are many unspoiled tracts of clean sandy beach and Doha itself boasts the well-tended facilities of Katara Public Beach. For most visitors, the hotel pool – or, in some cases, private hotel beach - is likely to be the first port of call. All major hotels have well-appointed pool areas, often in stunning garden settings with comfortable seating, the perfect place to lie back and take a well-earned break. Visiting golfers are welcome at Doha Golf Club, venue for the annual Commercial Bank Qatar Masters tournament, a ranking event on the European PGA Tour. 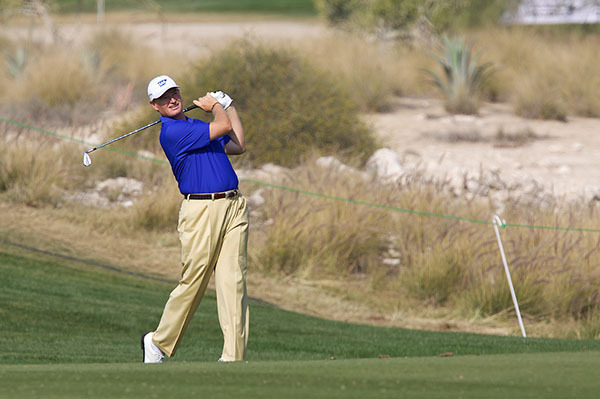 In addition to the 7,312 yard, 18-hole championship course, the club has a floodlit nine-hole academy course and its facilities include several restaurants, lounges and conference rooms. Qatar’s climate, abundant marine life and crystal clear waters make it a perfect destination for water sport enthusiasts. Fishing trips can be arranged and sailing, water skiing, canoeing, jet skiing and windsurfing are all available through beach clubs, resorts and hotels. 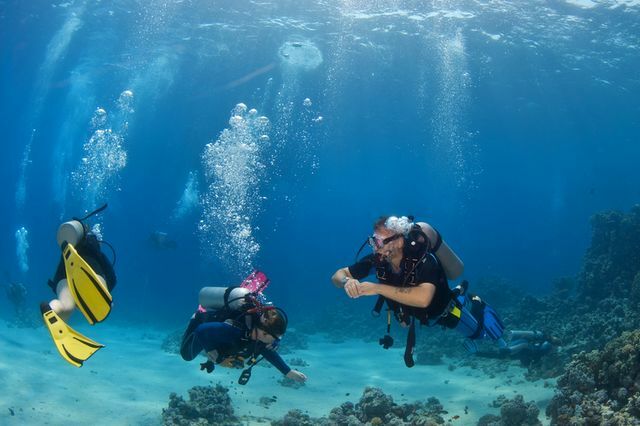 Dive sites are easily accessible and include wreck, deep water and reef dives. One of Doha’s defining features is the large number of green parks dotted around the city. These offer a welcome respite from the heat of the built-up areas and provide a vehicle-free recreational space for residents and visitors to enjoy, proving especially popular with joggers, cyclists and walkers. A string of such parks stretch along the Corniche waterfront, including the popular Museum of Islamic Art Park. Inland, the Aspire Park is notable for its lake and extensive facilities for exercise or relaxation.